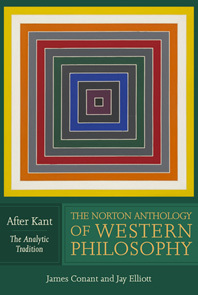 The Norton Anthology of Western Philosophy: After Kant - Description | W. W. Norton & Company Ltd. The Norton Anthology of Western Philosophy: After Kant provides a comprehensive introduction to the predominantly European ("Continental") interpretive tradition of philosophy after Kant in one volume, and to the now predominantly Anglo-American analytic tradition in the other. It features the extensive editorial apparatus for which Norton Anthologies have been known and trusted by professors and students alike for more than 50 years. Ideal for courses at all levels in the history of philosophy after Kant, these volumes belong on every philosopher’s (and philosophy student’s) bookshelf.